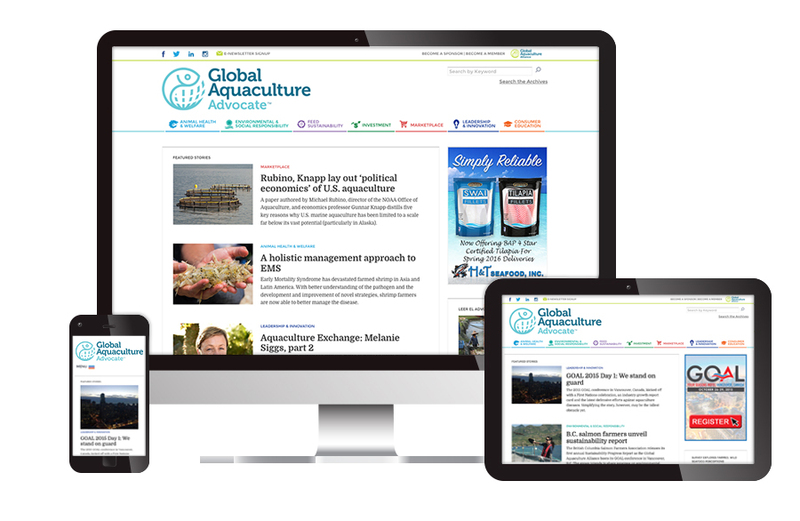 For nearly a decade, the Global Aquaculture Alliance had published their printed trade magazine. But they felt that an online news site would be a more effective tool to be able to publish more frequently and raise the visibility of their international organization. 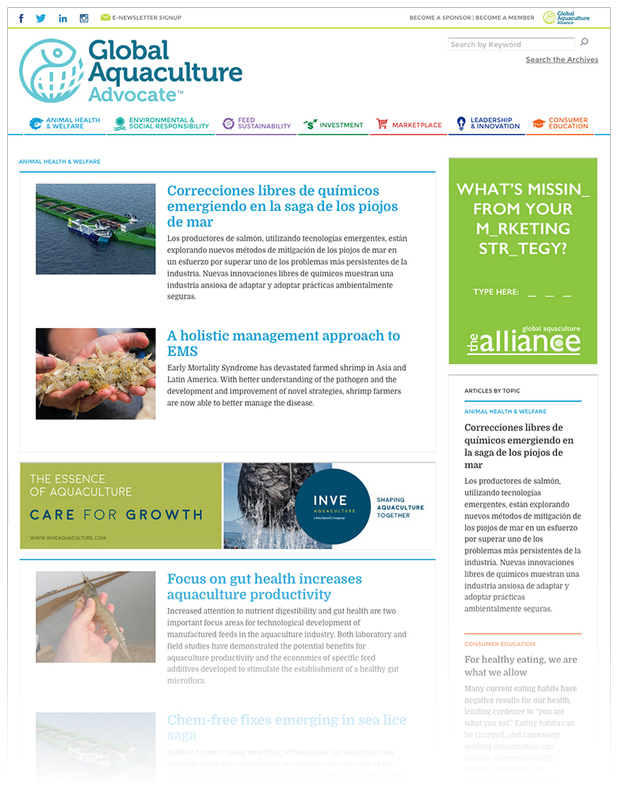 GAA turned to Visible Logic after two previous successful web sites: their GAA organization web site, and their Best Aquaculture Practices Certification Site. The Advocate site houses all of the news content and is now organized into seven categories. Built in WordPress, the user interface is simple and easy to use. For viewers, they are able to see featured stories, articles by category or use a robust search tool to find both live and archived content. The site also serves up ads from GAA sponsors.